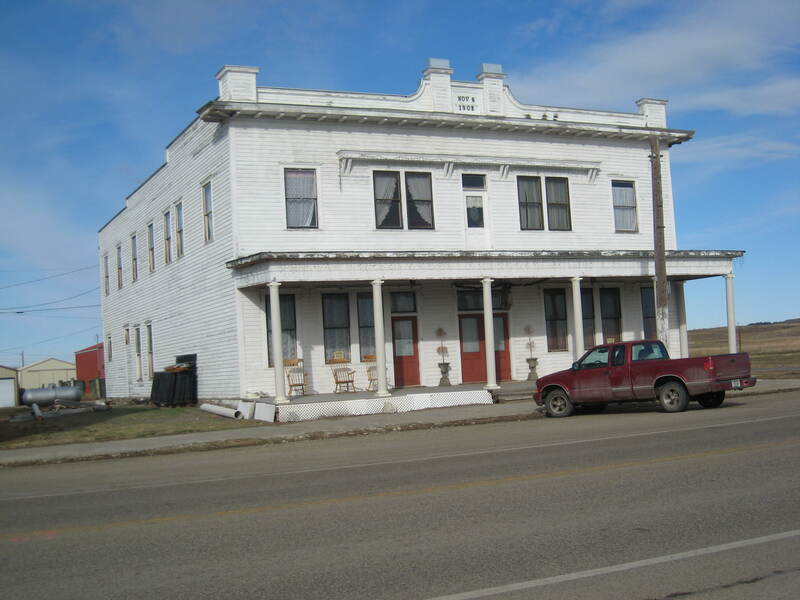 My previous post focused on Harlowton, the seat of Wheatland County, and its railroad past as a key division point for the Milwaukee Road. Now let’s consider that other half of the county’s transportation corridor–the one created by U.S. Highway 12. 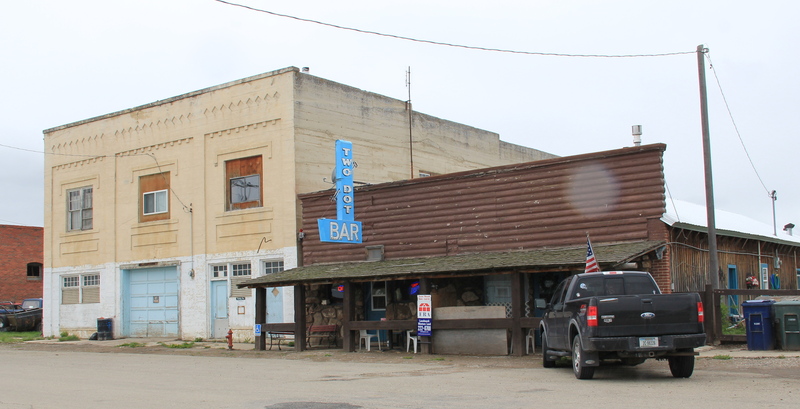 The Two Dot Bar, shown above, was an early destination point for me in eastern Montana. 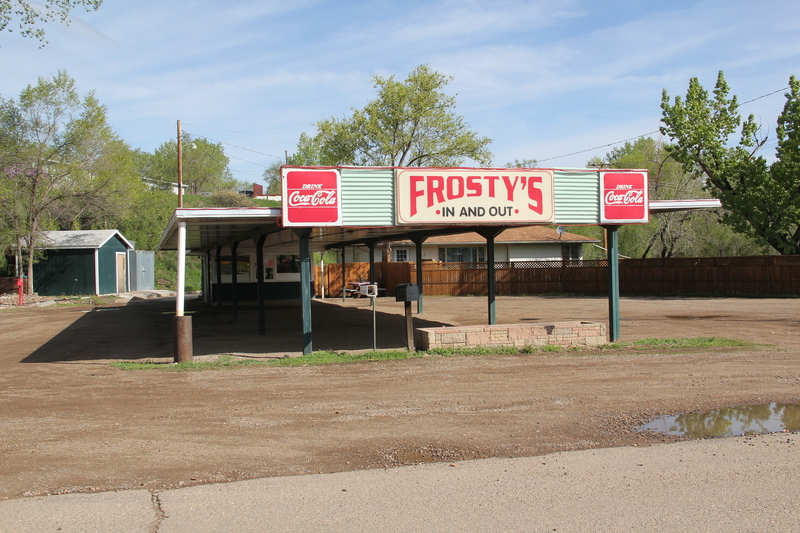 What other Montana town back in the early 1980s had a song about it by Hank Williams, Jr? Hank’s verse, “I’m from Two Dot, Montana, and I don’t give a damn” was one of many theme songs on my boom box for those long drives across the state. 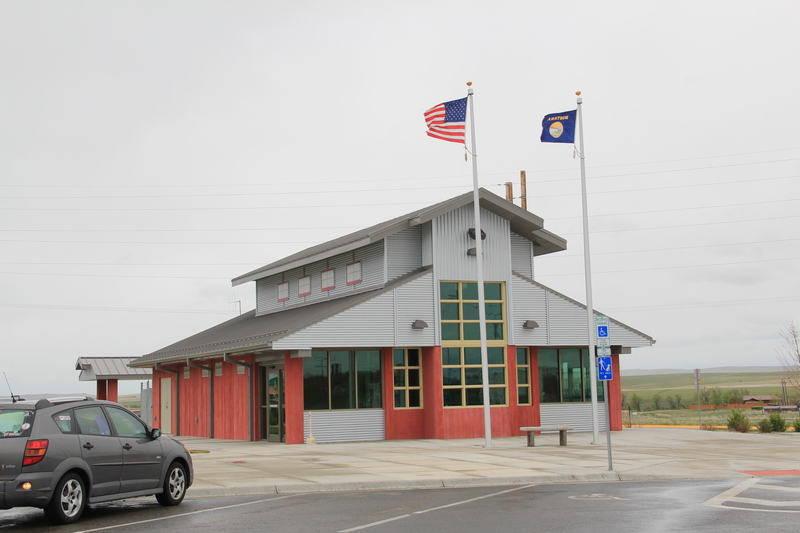 The new highway visitor center, at the junction of U.S. 12 and U.S. 191 outside of Harlowton, speaks to the region’s dependency on the railroad, but to get around here anymore you need the roads. 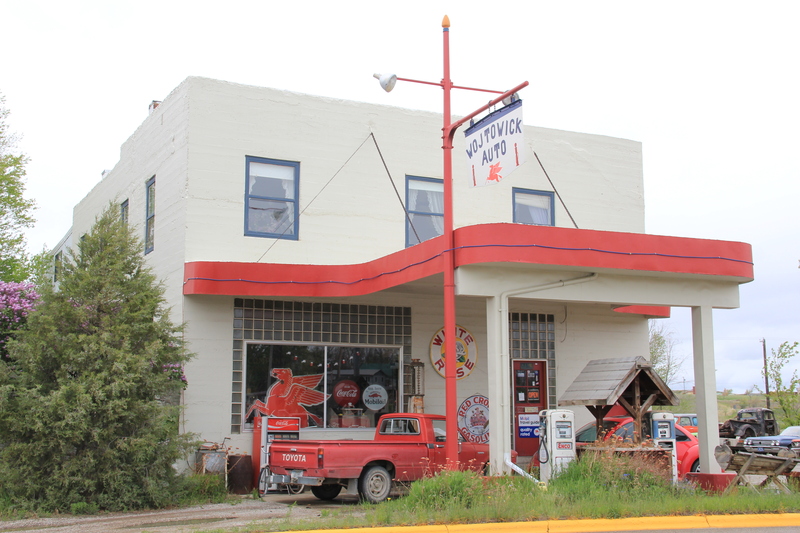 Harlowton has several compelling properties along the highway, none moreso than this carefully preserved mid-20th century service station. Nearby is the historic county jail, converted into a very casual and fun local eatery. 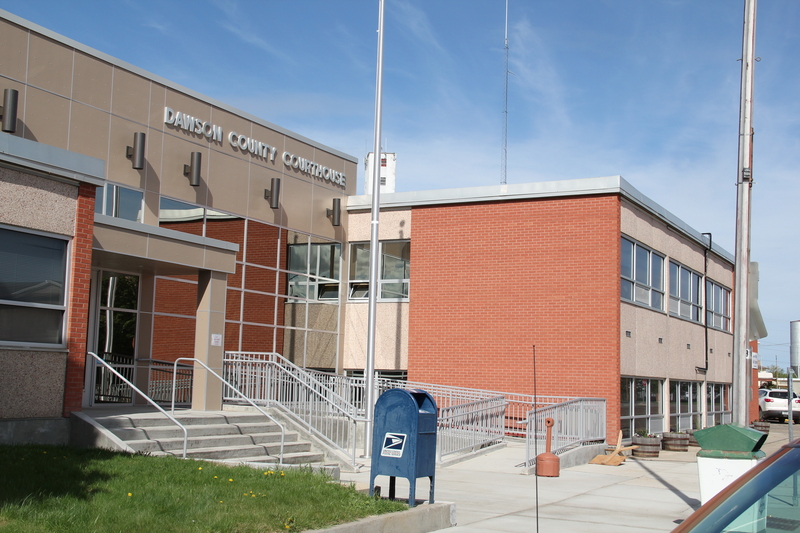 Indeed the public architecture of Harlowton is different from many rural Montana towns–the historic jail and courthouse are out on the highway, not down in the heart of the town, nearer to the railroad core. 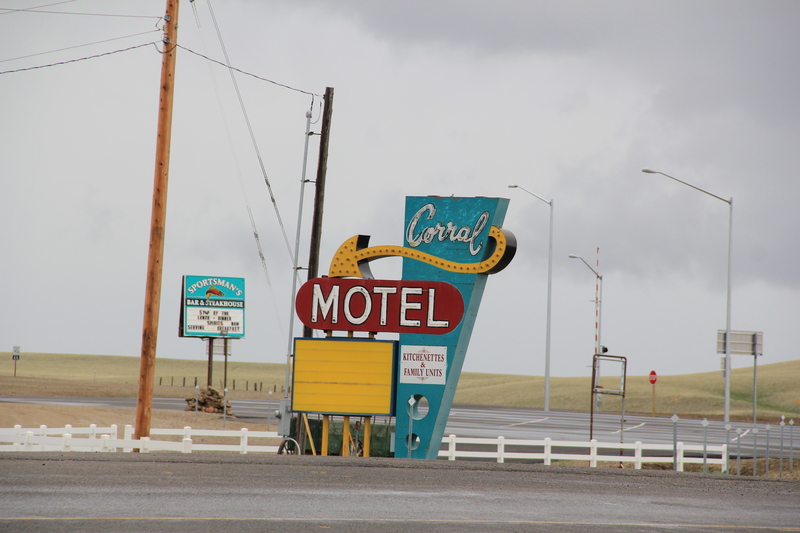 The Corral Motel sign is one of my favorites of central Montana, and is a reminder of how historic highway motels that are not part of a major chain remain good travel options. 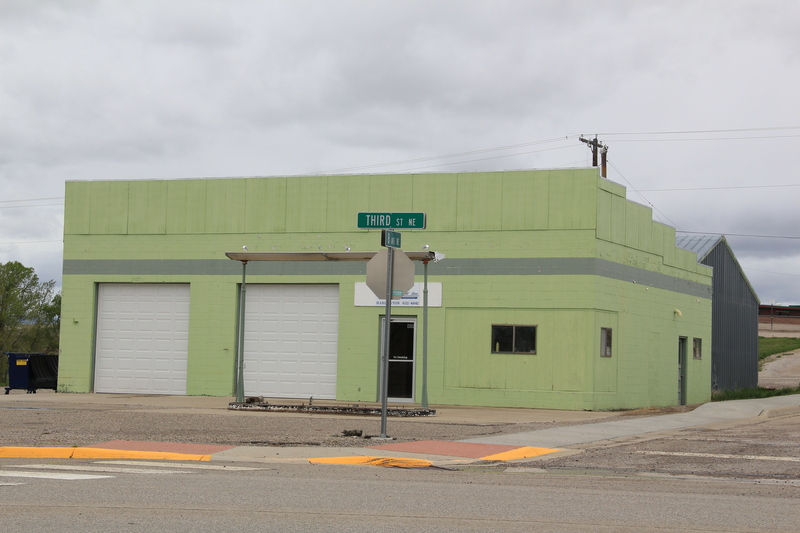 Then there are the old garages and gas stations all around Harlowton that are still used in some way today–they too are reminders when U.S. 12 was a major artery. 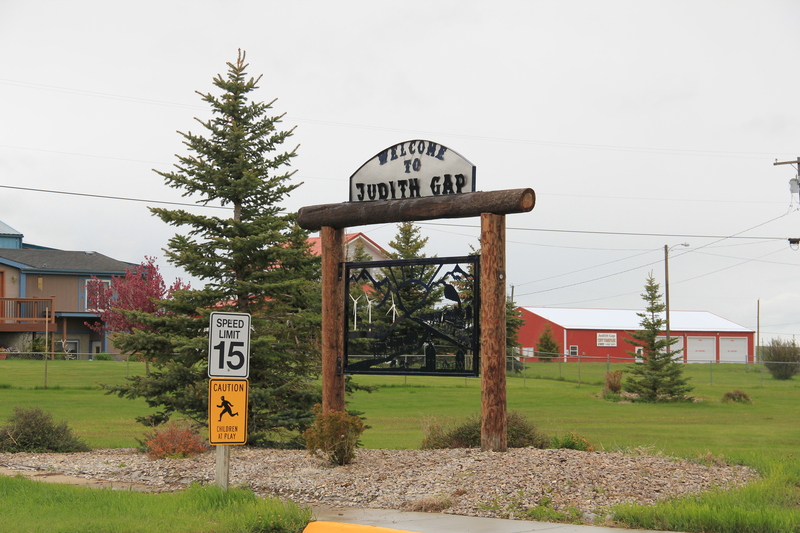 Then at the north end of the county, on U.S. Highway 191, is Judith Gap, and perhaps they have grabbed bragging rights for the most spectacular bit of roadside architecture. Nope it is not the neat town sign–although I like it a lot. Nor is it the not-to-be-missed Hitchin’ Post Bar. 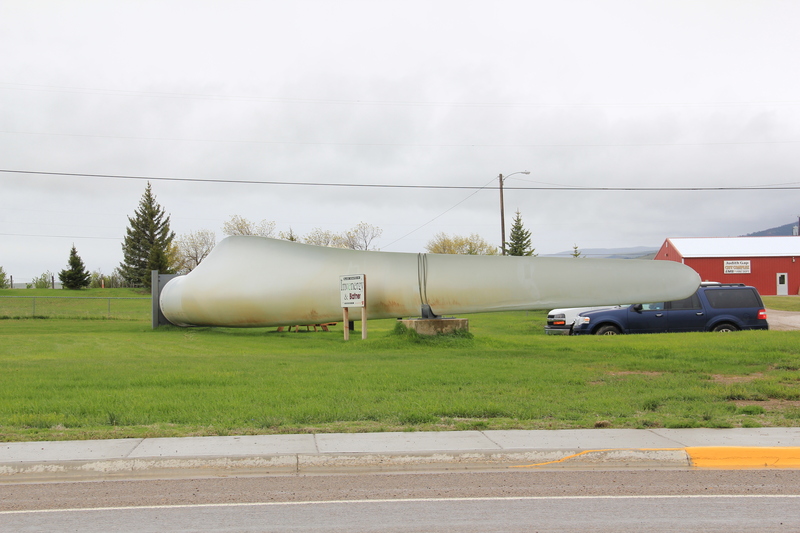 it is the interpretive site with one of the huge steel blades used on wind turbines found along both U.S. 12 and U.S. 191 in Wheatland County–wind turbines are defining elements now of the northern plains landscape–and here you can touch one. 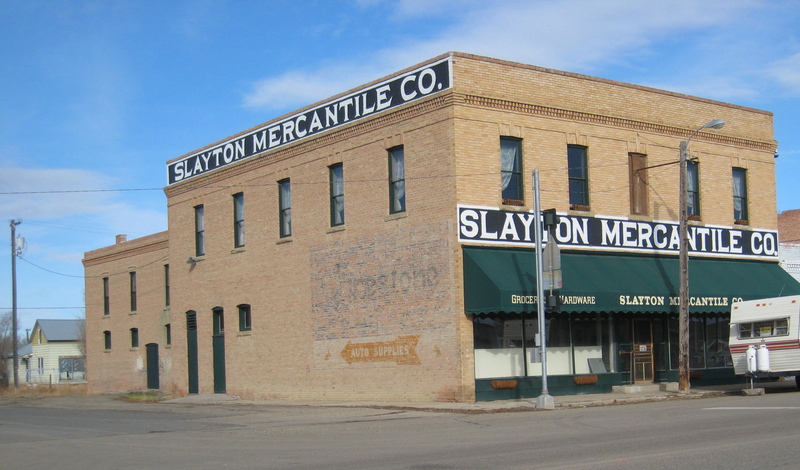 Golden Valley County, Montana, established with much local fanfare and excitement in 1920, was one of the last counties created in Montana. 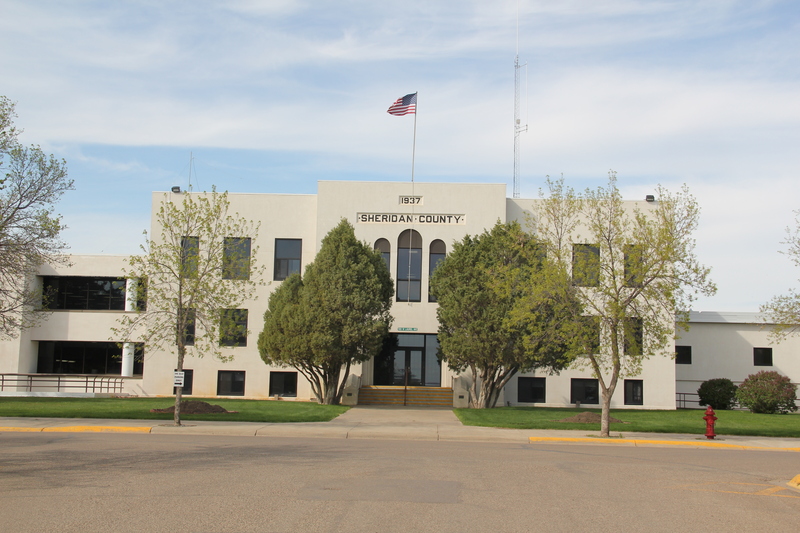 Today, with just over 1100 residents, it remains one of the county’s smallest in population. 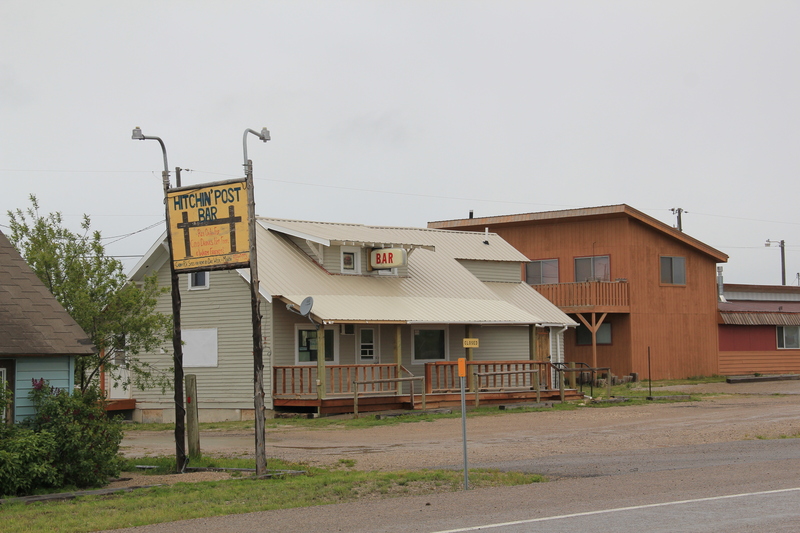 Yet, like other places along U.S. Highway 12, it has been a favorite jaunt of mine since 1982. The highway connects with Montana 3, which roughly parallels an old stagecoach route, and Highway 3 going south takes you directly to downtown Billings. 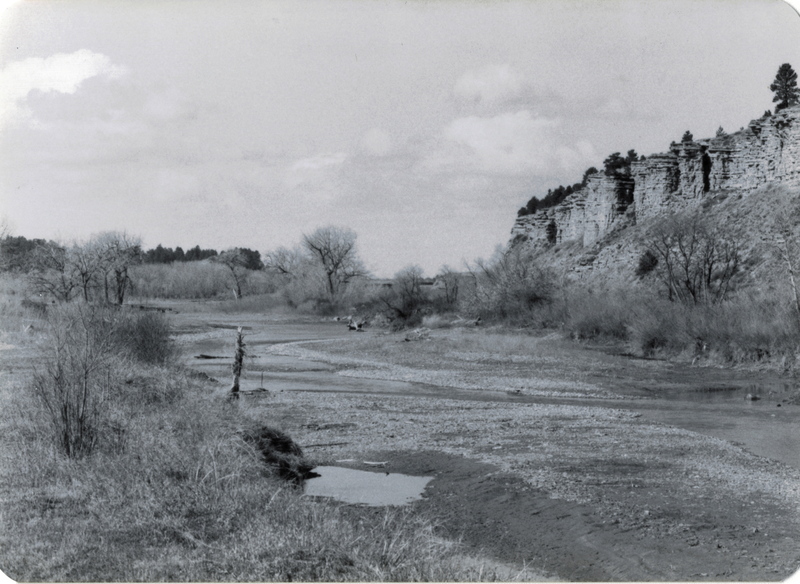 Thus, beginning with my many projects with the Western Heritage Center in Billings in 1982, I quickly found out that taking U.S. 12 between Helena and Billings not only cut off miles from the journey but was always more scenic and more interesting due to the remnants of roadside architecture and bits of the Milwaukee Road corridor that followed the Musselshell River in this county. 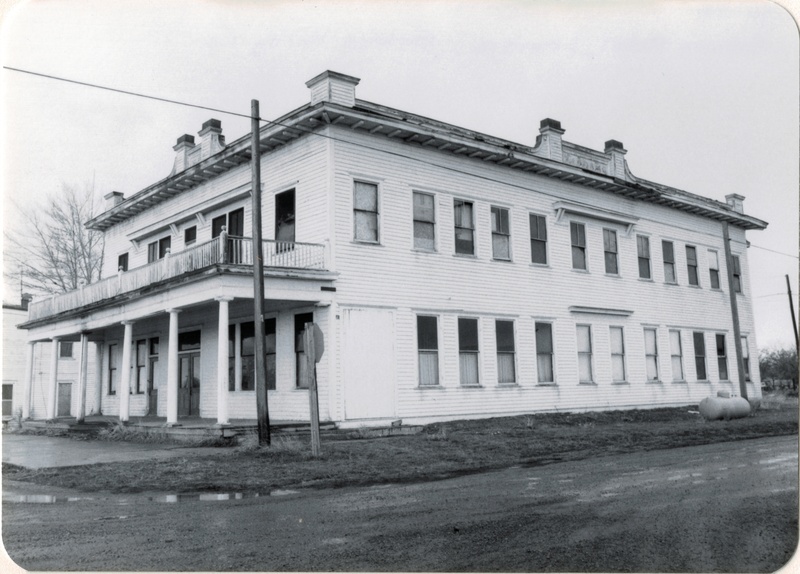 listed in the National Register of Historic Places, spoke to the town founders’ hopes for the future–and the need for a large hotel for all of the traveling businessmen, and homesteaders, the Milwaukee planned to attract to the area. As the image above shows, in 1984 the Adams needed a friend–someone who would take on a huge frame building and find a new life for it. In the next decade that friend came and the Adams came back to life, as the 2006 digital image below shows. The next decade has not been so kind. Owners have placed a clock in the cornice, eliminating the original dating of the building, plus brass lanterns have appeared on the second floor and it needs painting and repairs. 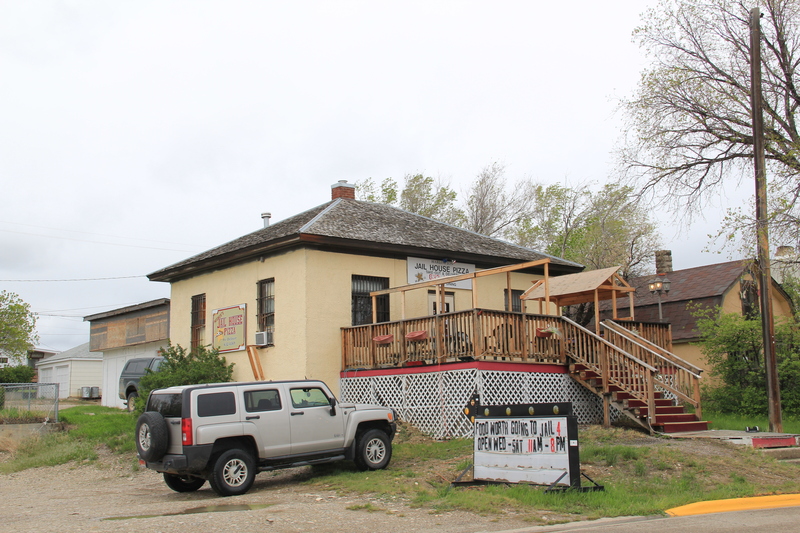 But the building is still open, and in use, and those are huge steps toward compared to 30 years ago. 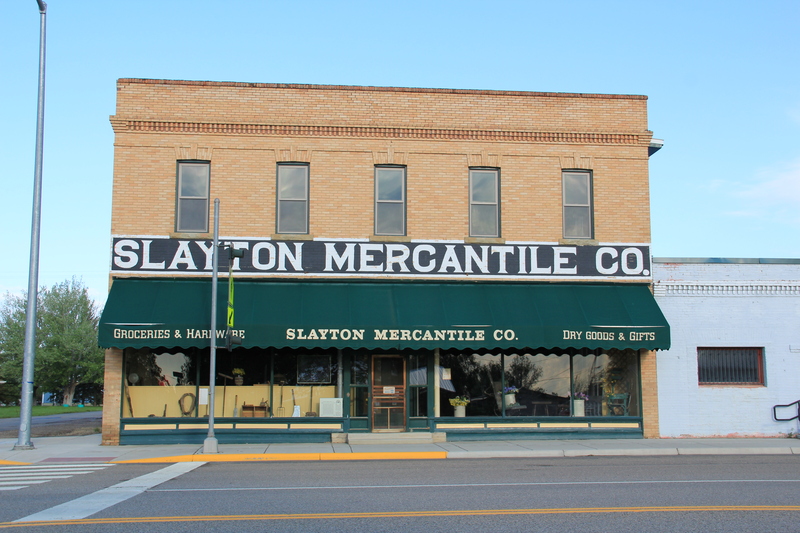 The town’s general store, Slayton Mercantile, which is also on the National Register, is doing better, and has become one of my frequent stops in the region. 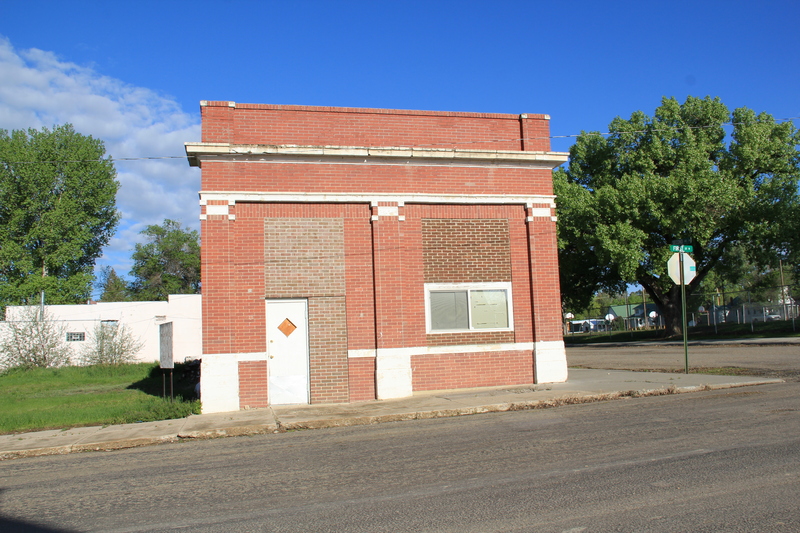 This two-story brick commercial building also spoke to town’s hope for a bright future in the second decade of the 20th century. Travelers along the road, and the town’s steady population, keep it in business today. 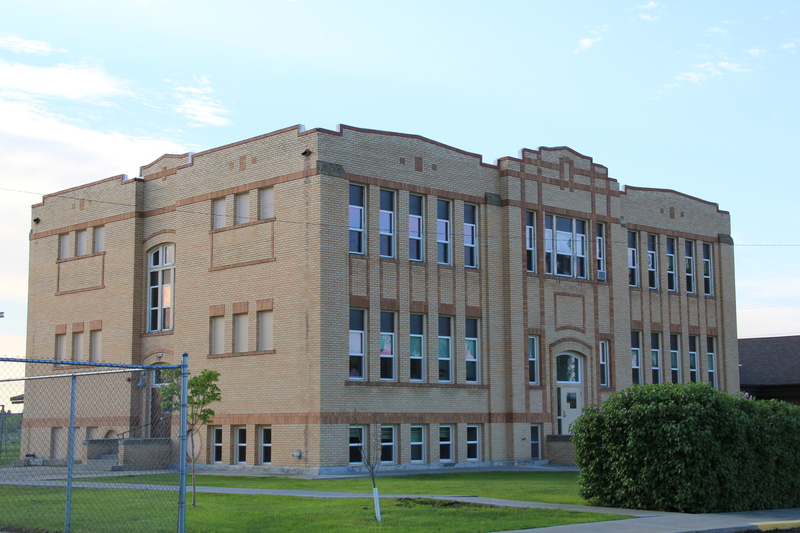 The historic two-story with full basement yellow brick Lavina Public School is not on the National Register but this early 20th century building is another key landmark. Its exterior architectural features speak to the restrained styles of public architecture often found in the region. 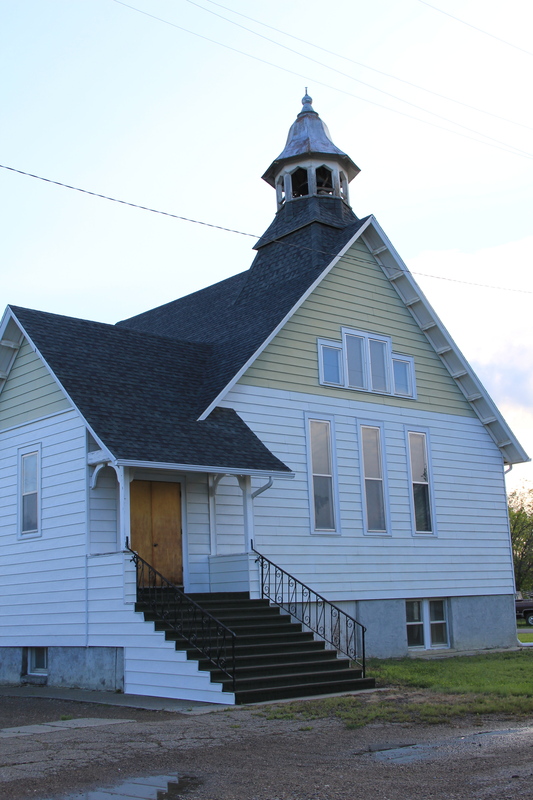 Another community landmark is the joint United Methodist and Lutheran church of Lavina–the two congregations share this Gothic-styled early 20th century building to sustain it and themselves as viable congregations. 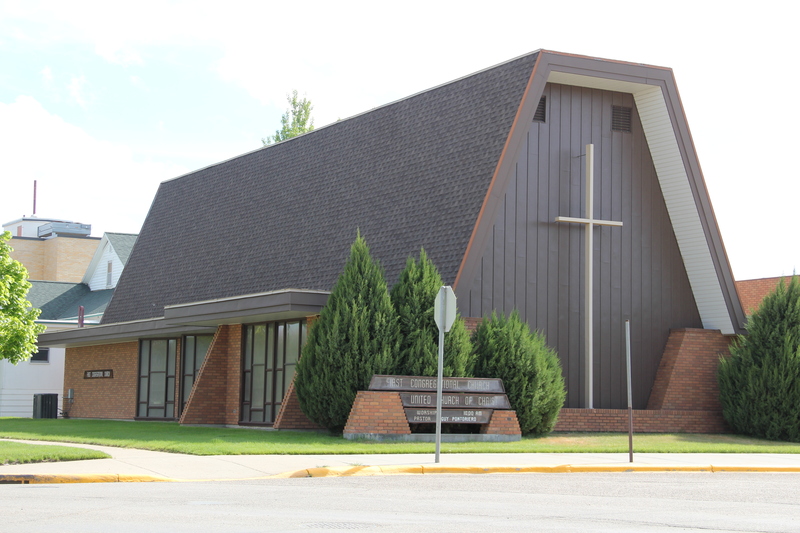 The fate of beautiful rural churches is not a happy story throughout the northern plains, but Golden Valley County has done better than many. 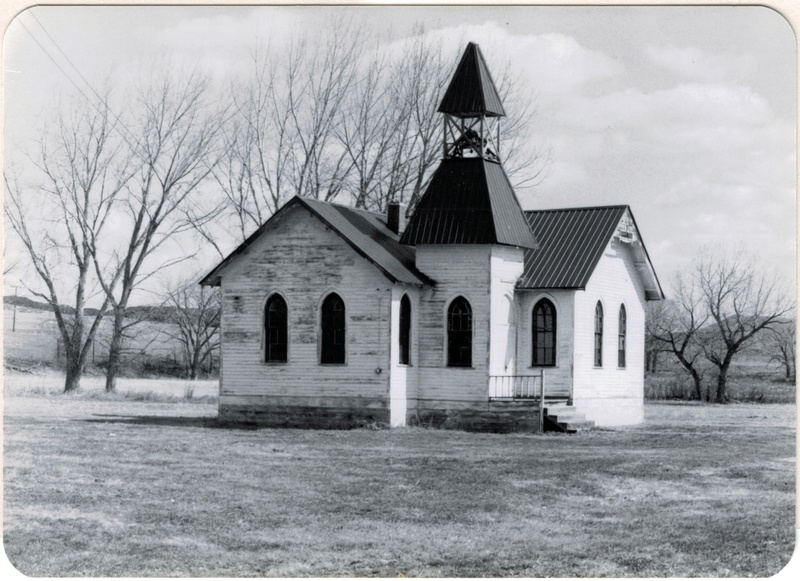 Another of its early 20th century churches, the Lutheran Church at Barber, needed help in the early 1980s when I first surveyed it. 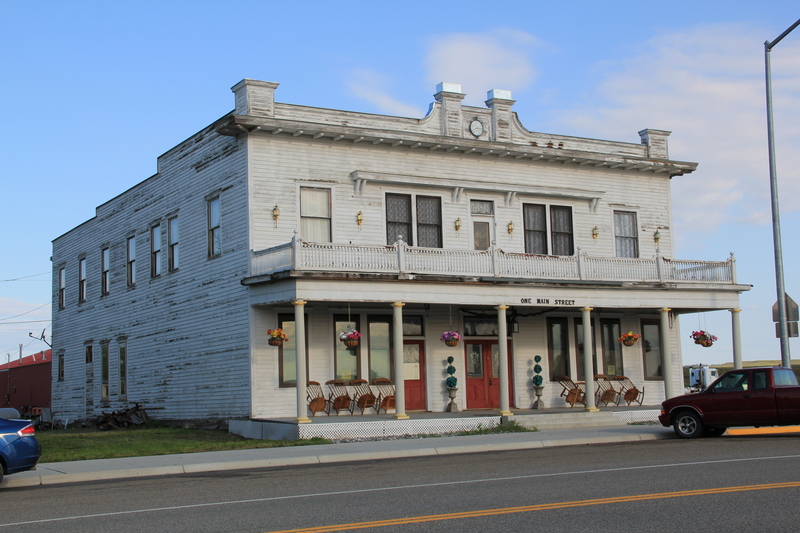 Local residents in the last 30 years restored the building, opening it for services, and listed it in the National Register. The original open bell tower has been covered and a handicap ramp for attendees have been added–steps that have helped to keep the building part of the county’s otherwise disappearing historic landscape. 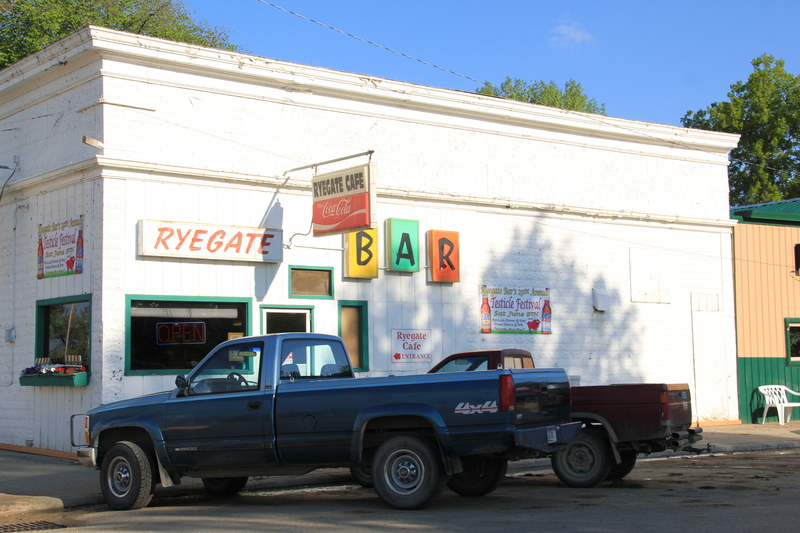 speak to the importance of the railroad, and highway, while the landmark Ryegate Bar has served thirsty locals and travelers for decades. Today it is most famous for its annual testicle festival–a new tradition launched since the survey of 1984-1985. 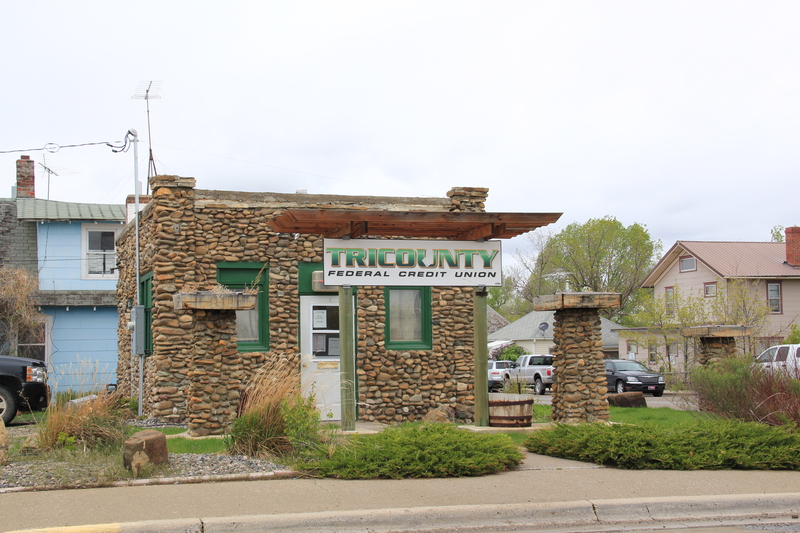 Two buildings from the county’s beginnings are a one-story brick Classical style bank building, which like so many in the region closed its doors during the homesteader bust and the Great Depression, and the Golden Valley County Courthouse, appropriately the town’s most imposing building. 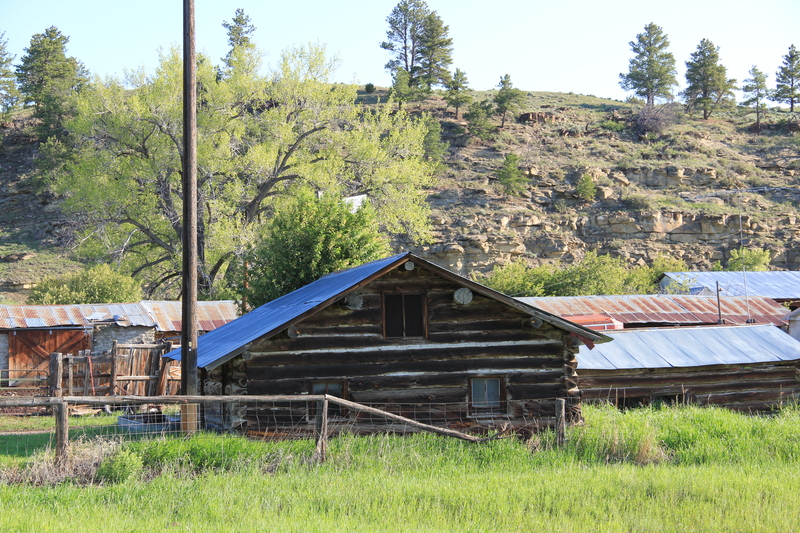 town’s eastern border the Sims-Garfield Ranch, a rambling assortment of vernacular-styled log and stone outbuildings and two vernacular style residences is the only town property listed in the National Register. 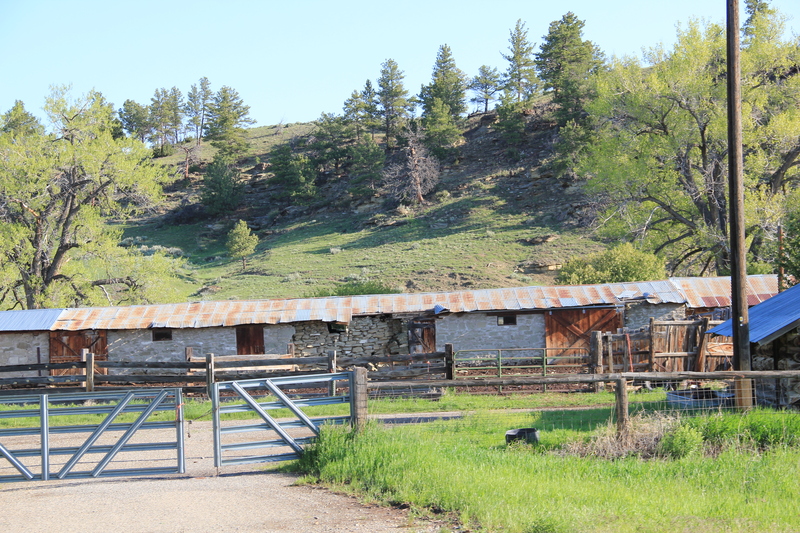 Nestled between U.S. Highway 12 and the rocky bluffs of the Musselshell River, it is evocative of the county’s roots as a ranching landscape, a place of work and pride that survives today. 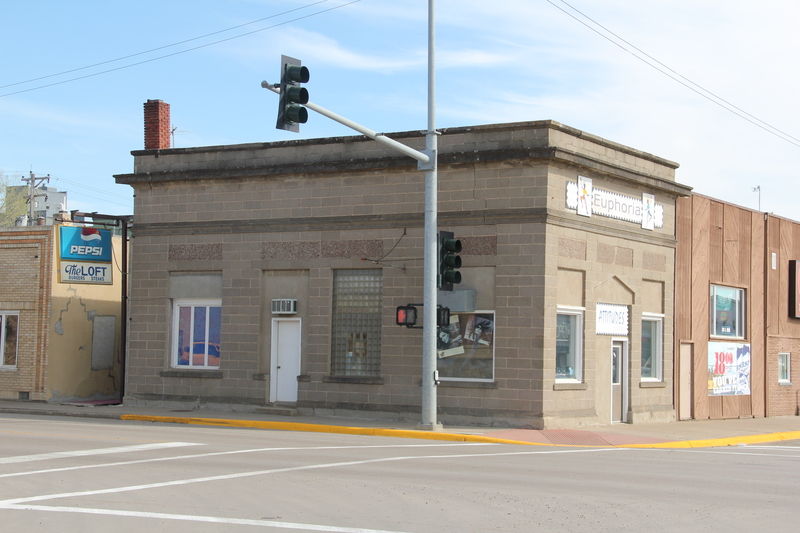 My last post on Glendive, the primary commercial and transportation center of the Lower Yellowstone Valley, looked at the Northern Pacific Railroad’s imprint on the town. 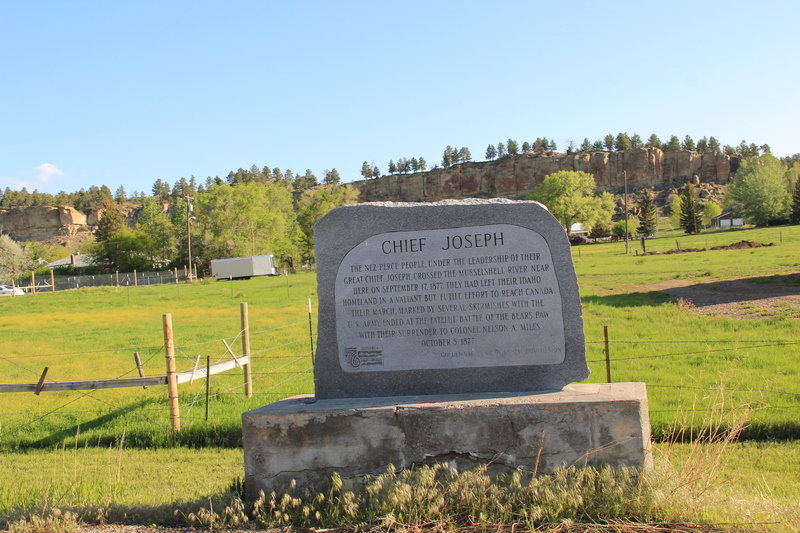 :et’s shift focus into the early 20th century, when the automobile corridors–the Yellowstone Highway or U.S.Highway 10–began to leave their marks on the town. 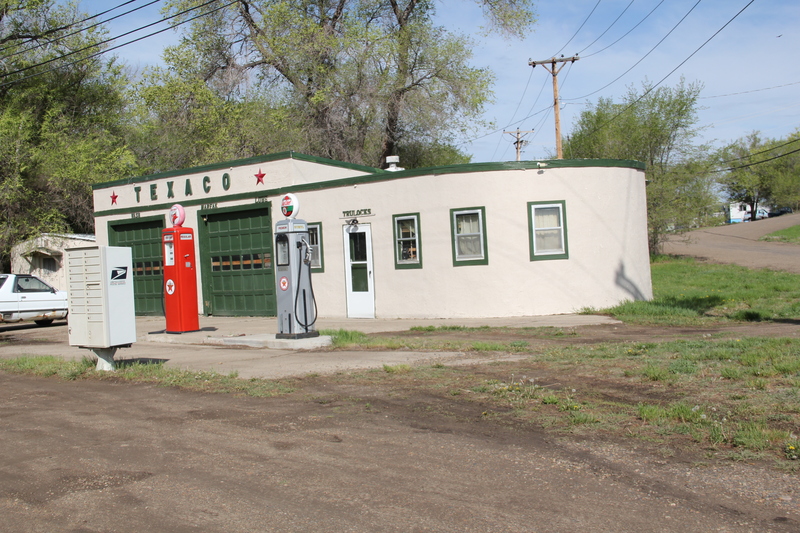 As the Yellowstone Highway left town and headed west, two outstanding examples of roadside architecture survive, the c. 1930 Art Moderne-styled Texaco gas station, complete with a small motor court for lodging in the rear, and a later historic drive-in, Frosty’s, complete with the low canopy typical of the early non-standardized drive-in establishments. 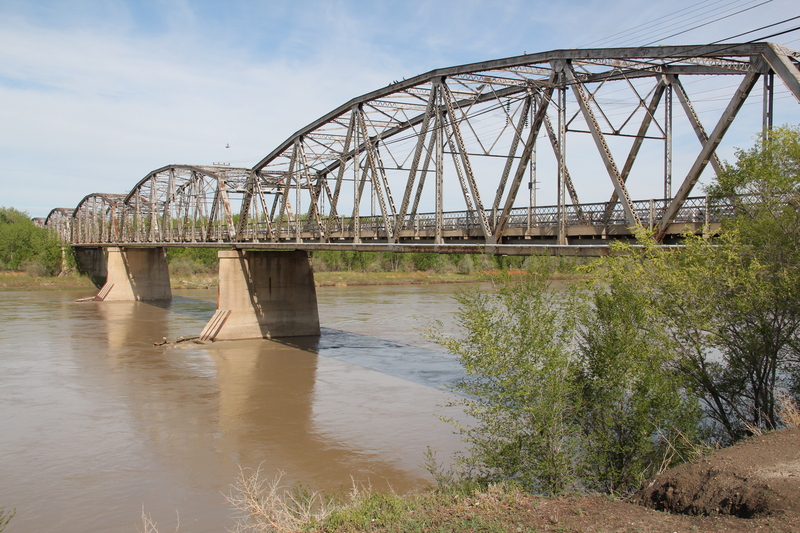 Also feeding traffic into the heart of Glendive was the 1925 Bell Street Bridge over the Yellowstone River. 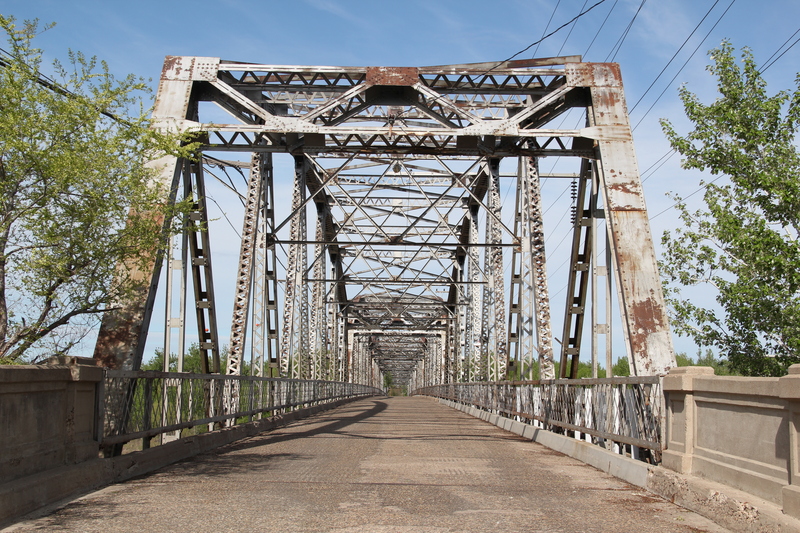 This National Register-listed bridge was once a gleaming steel and concrete landmark of modern transportation; it continues to serve the town as a pedestrian bridge. 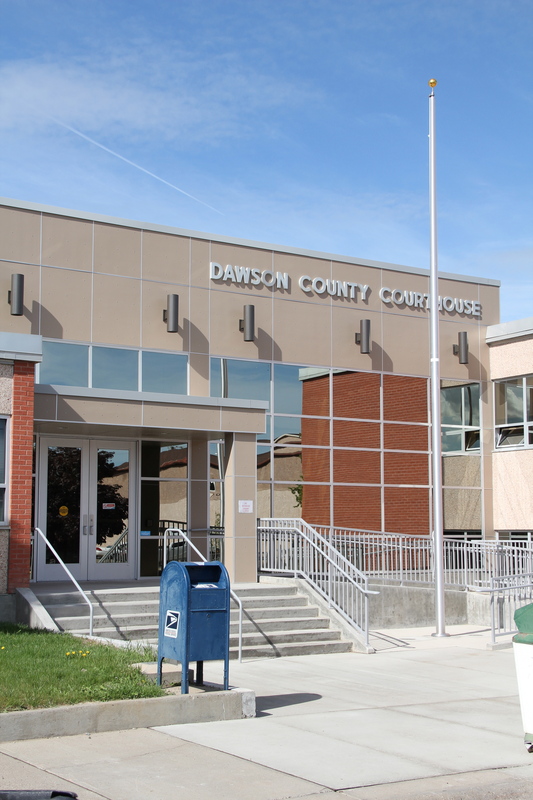 Downtown Glendive is dominated by a modern monument to its time of greatest prosperity–the city reached its population high of just over 7,000 in 1960: the Dawson County Courthouse of 1962. Designed by the long-established Billings firm of J. G. Link, the courthouse represents the “contemporary modern” movement in the state’s architecture of the 1950s and 1960s. 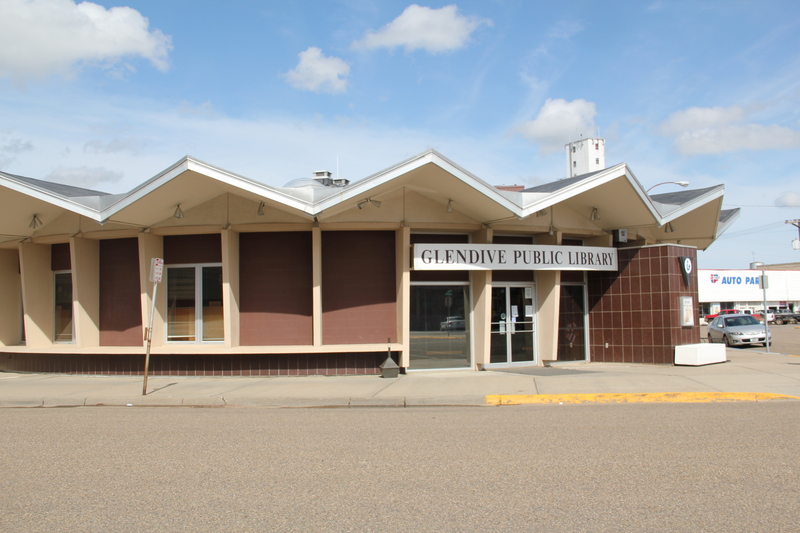 An even more striking example is the space age aesthetics found in the town’s public library, which when I lasted visited Glendive in the 1980s still served its original purpose as a local bank. 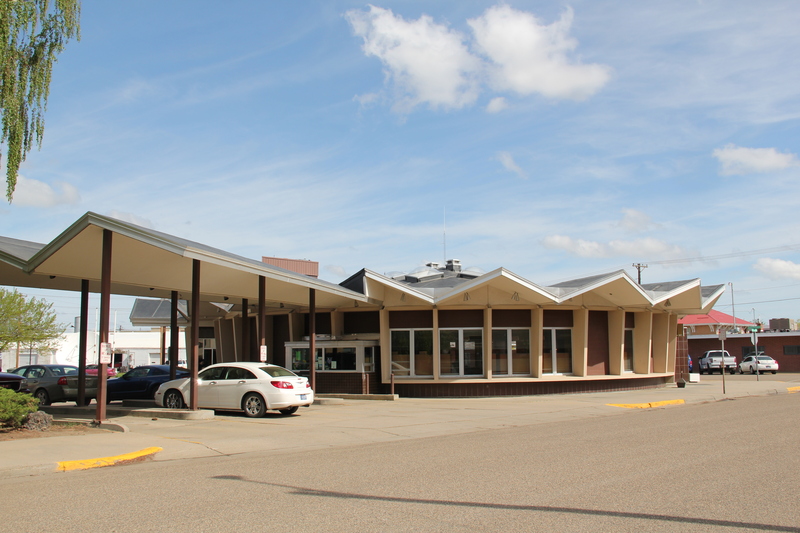 The contemporary sixties look even extended into Glendive’s historic neighborhoods, as reflected in the A-frame style of the First Congregationalist Church, and into new commercial buildings, such as the Saarinen-esque sloping roofline of the historic Safeway store, now adapted into the Eastern Montana Events Center. 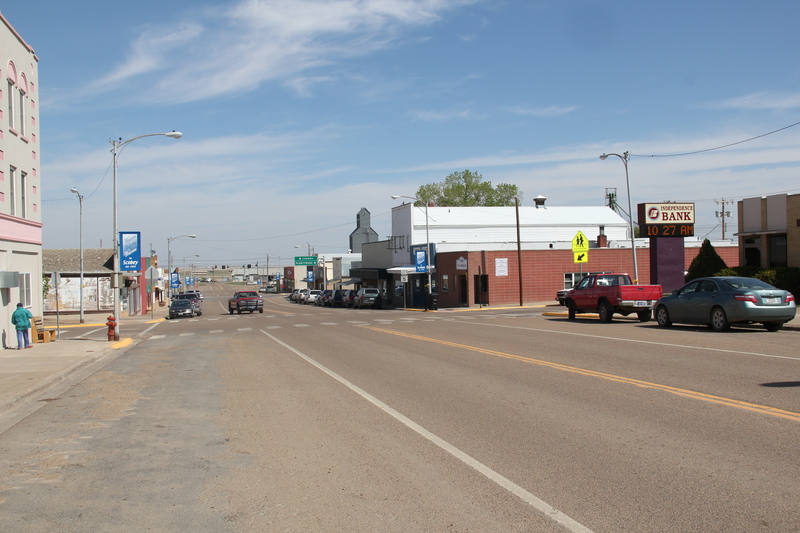 Glendive has lost over a quarter of that 1960 population, checking in the 2010 census at just under 5,000 residents. 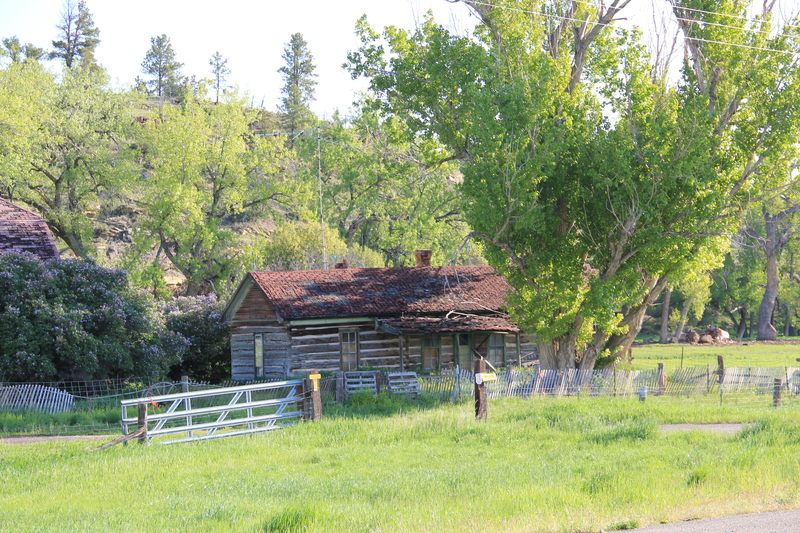 Before we leave this spot on the Yellowstone, let’s explore more its historic neighborhoods, full of a range of interesting domestic architecture from 1900 to 1960. That’s the next post. 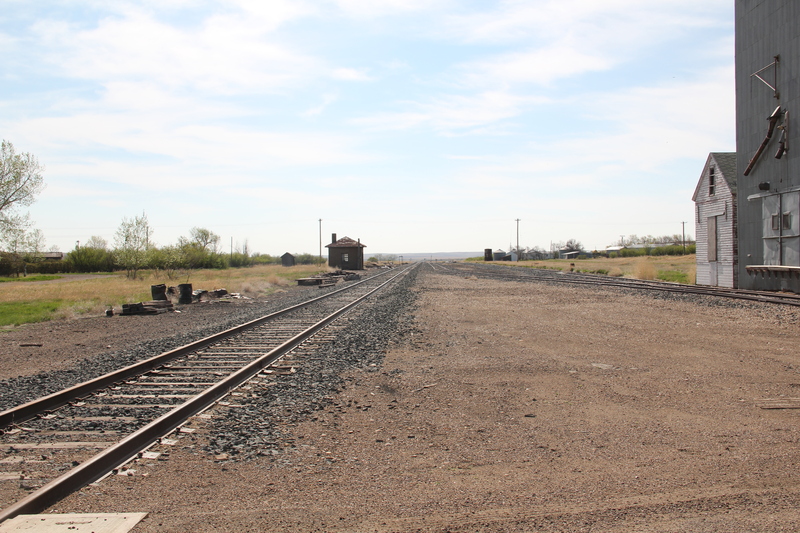 In the past posts I revisited the two Daniels County towns at the “end of the line” of a spur line constructed by the Great Northern Railway in the early 1910s as a way of countering the push into northeastern Montana by the Soo Line at the same time. These attempts at railroad expansion and town building took root during the homesteading boom of that decade. 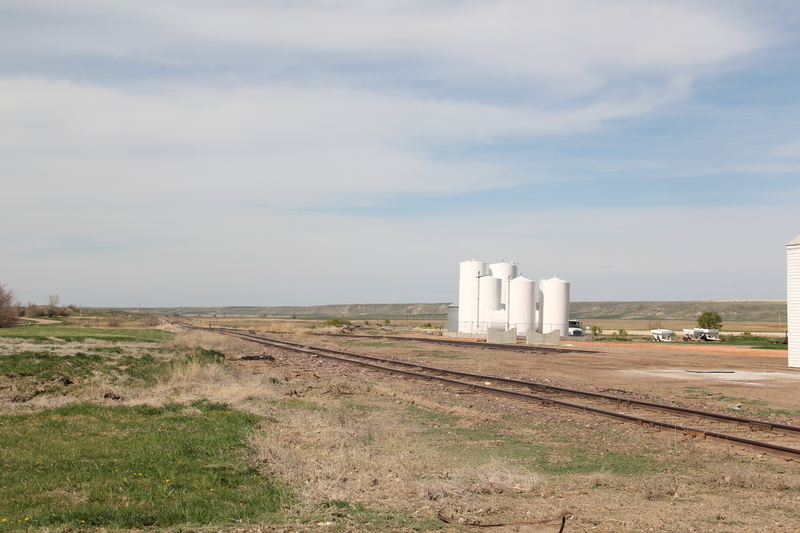 Now with depots gone and residents drifting away, the old railroad corridor as it stretches from Opheim on the west end to its junction with the main line at Bainville, takes on the appearance of a ghost line, attested by the image above from Homestead and the one below from Reserve,both in Sheridan County. 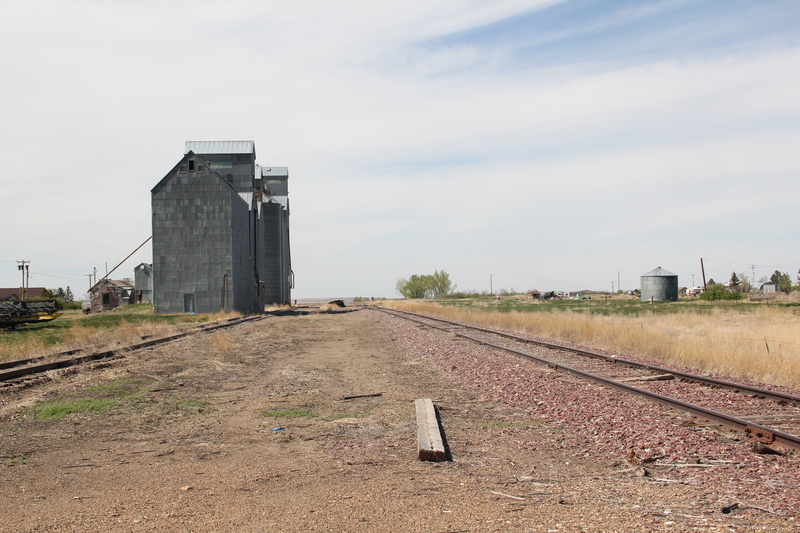 At the rough mid-point of this spur line lies Plentywood–rather forsaken spot I thought in 1984 but a town now actually facing too much growth, too fast as the need for residences and space for the thousands of Bakken oil field workers seeps into northeast Montana. 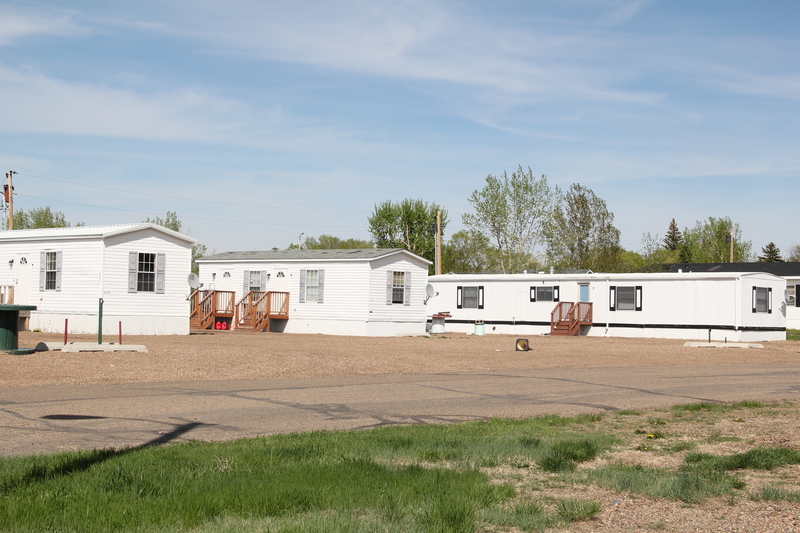 In 2013, the impact on Plentywood and Medicine Lake to the south was apparent as this just opened man camp at Medicine Lake shows. 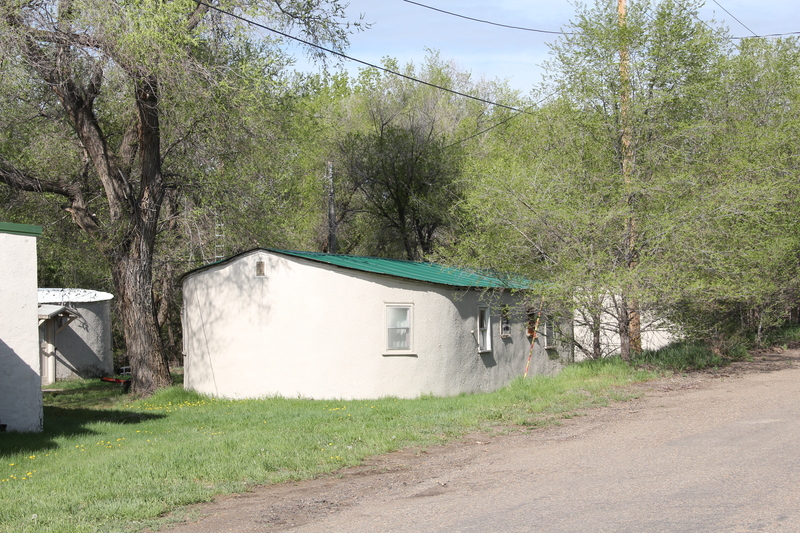 Plentywood was of considerable interest to me because once the initial homestead boom turned to disaster in Sheridan County by the time of the Great Depression, there was a local movement to create a communist party. This story was known in 1984 but now we have full accounting due to the research of Sheridan County native Verlaine Stoner McDonald in her book The Red Corner (2010). 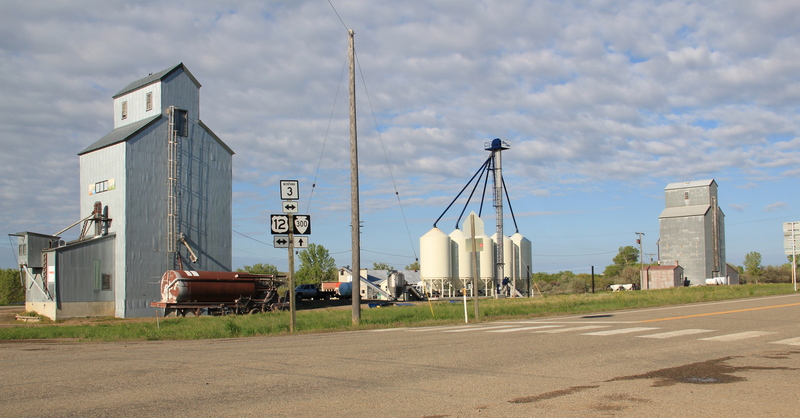 Plentywood has a classic T-plan town, with its depot and huge grain elevators defining what was the head of the town–and then a long “stem” of the T, where first came the commercial district, then a residential district, and finally at the “bottom” of the T: the county courthouse. This arrangement of space spoke to the railroad’s concern for safety and efficiency: T-plans moved traffic and pedestrians off of the tracks. 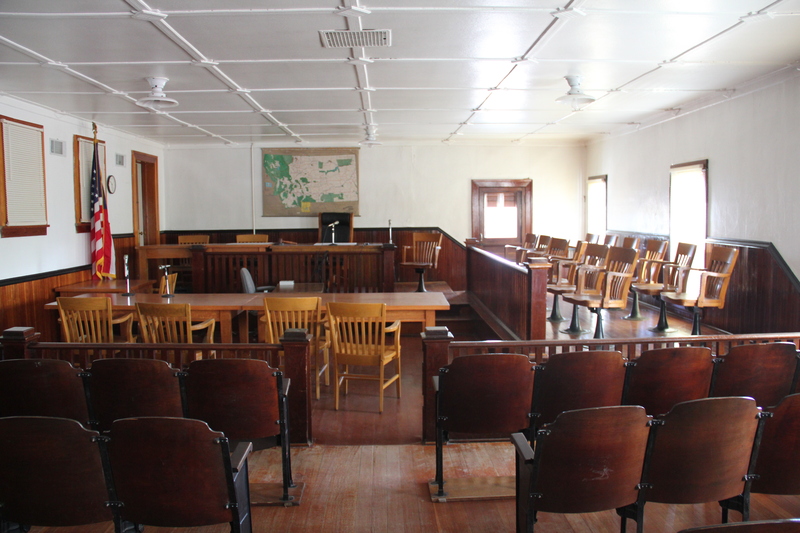 But when the Works Progress Administration built the understated WPA Modern-styled courthouse in 1937, placing it at the end of the town, you also had a classic statement of where power lay in these plains country towns. The railroad stood at the head; at the end of the town was the seat for local politics. 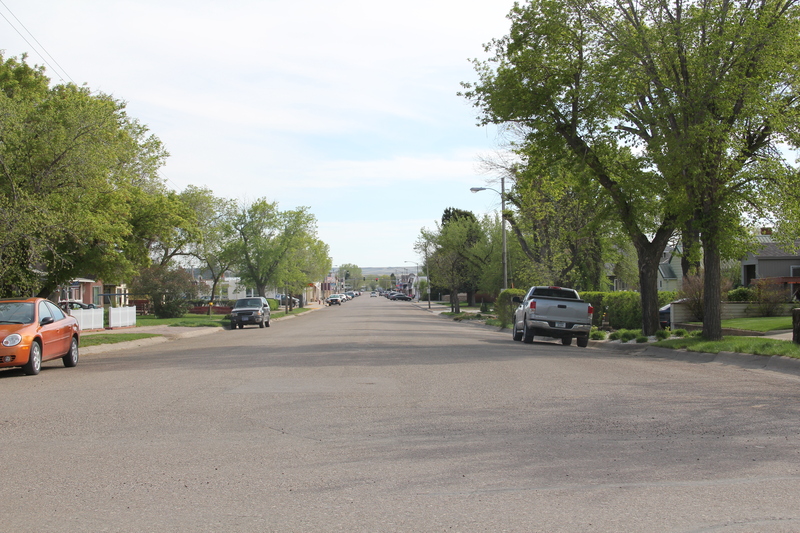 In 1984 another interesting arrangement of space I noted in Plentywood was how three different banks stood on three of the four corners of the town’s most prominent crossroads, where Montana Highway 16 crossed the main street. The banks are still there with the stone-work of the historic Adolph Riba bank (built by Henry and John Hill from the village of Raymond to the north), making it a prominent landmark. 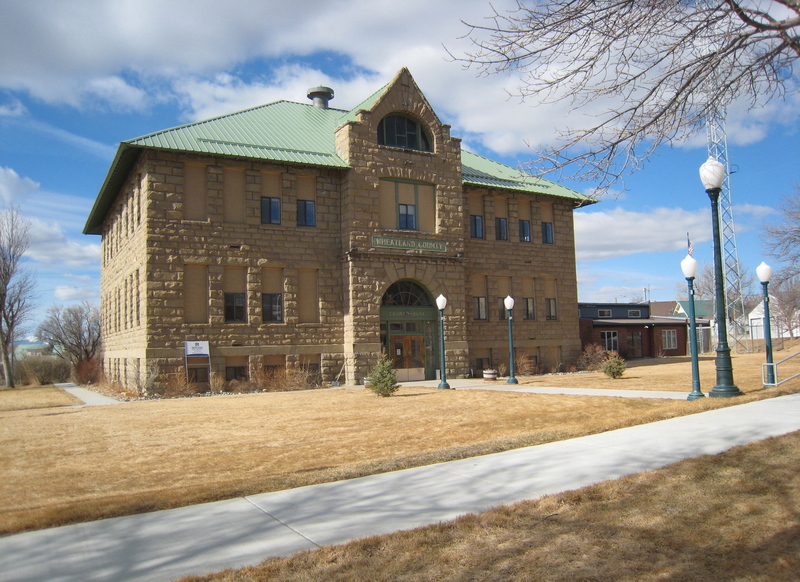 The impact of the regional oil boom on the public landscape is most evident in new schools and the new library, attached to the historic courthouse, changes I didn’t expect to find in a town that had lost 700 residents from the 2400 or so who lived there in 1984. 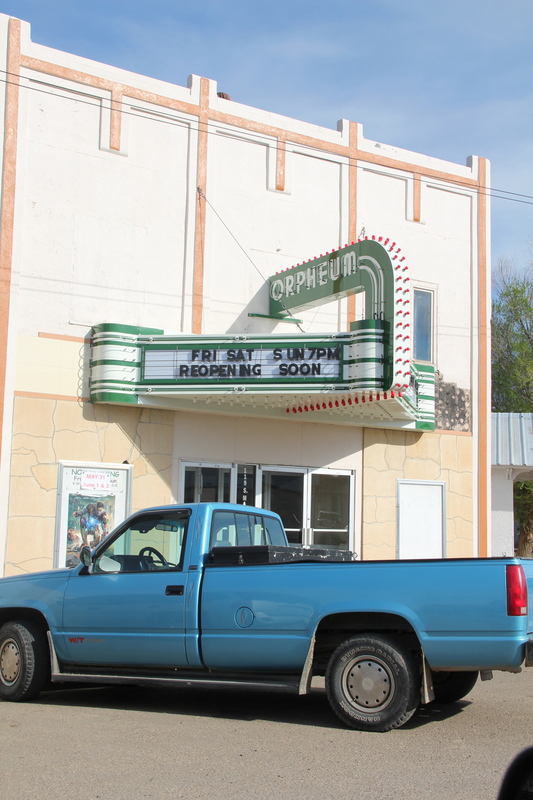 I was especially pleased to see the town’s historic movie theater, the Orpheum, which stands adjacent to the “top” of the T, still doing well. 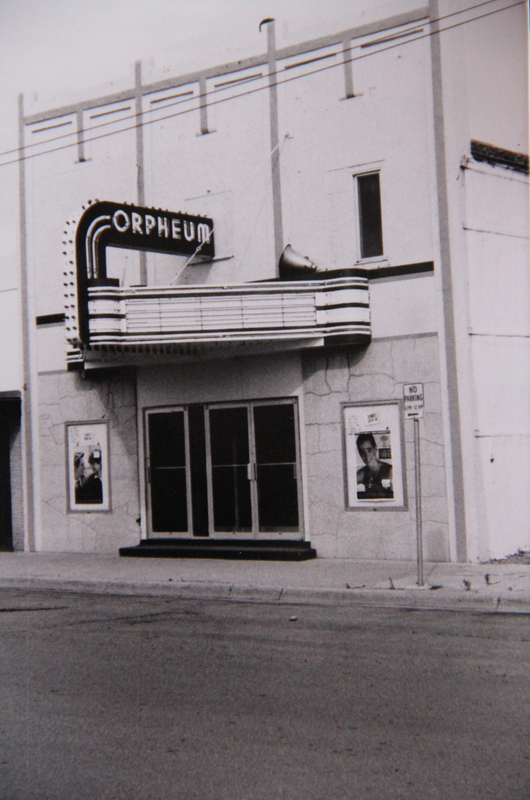 It was rare to find a small town movie theater in 1984, even less common today. 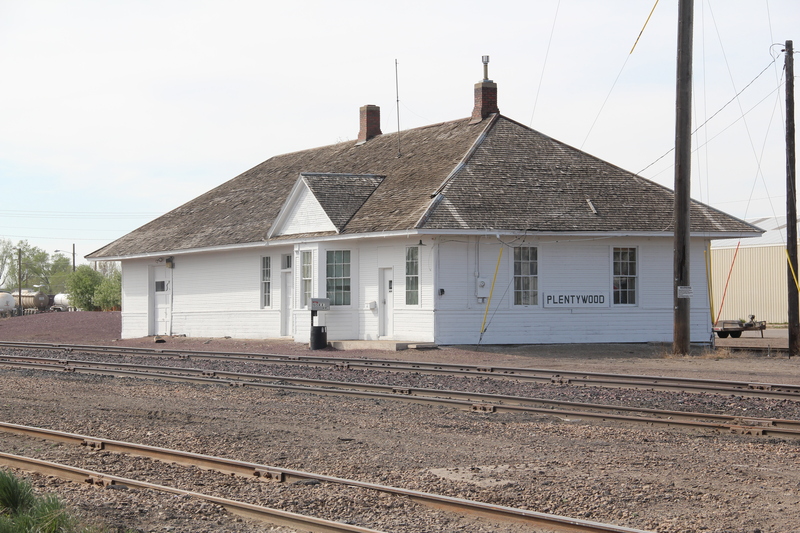 Plentywood today is more than the historic center point of a neglected railroad corridor; it lies in the center of the changes coming to the region out of the 21st century oil boom of the northern plains. 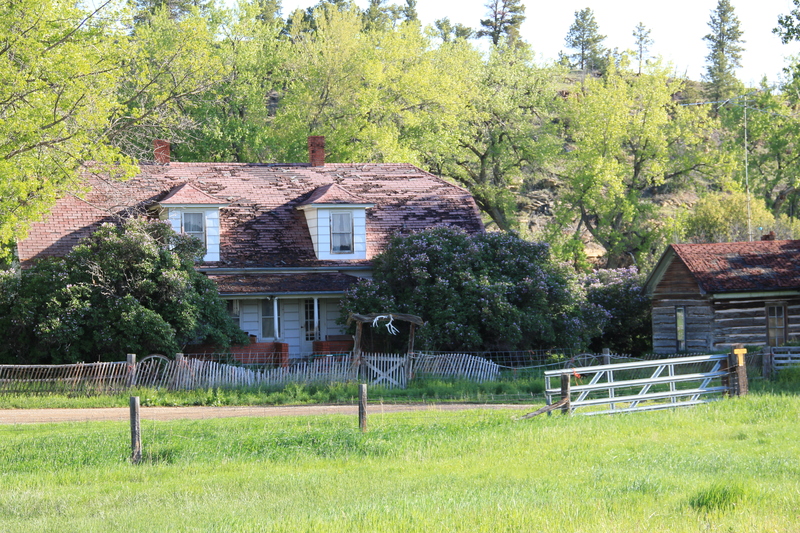 The high plains of Daniels County are among the most isolated places in all of Montana. You may reach this place by heading straight north out of Wolf Point on a state road or you can come from the east on another paved road. Gravel roads are available as well. 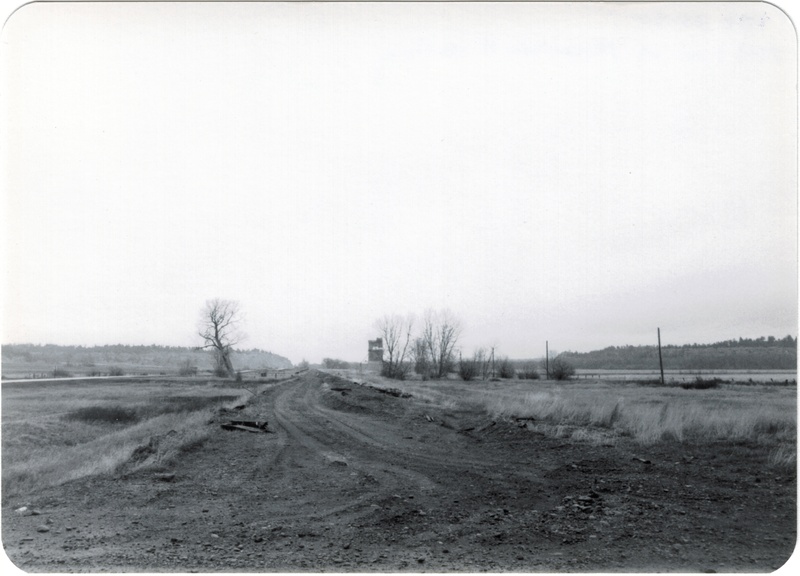 Federal highways have never touched this place; railroads came, above is the Soo Line Corridor at Whitetail. They arrived from the east and dead-ended here on the prairie. Yet the isolation, the vernacular buildings, the fact that nothing is overtly special here actually makes it a special place. 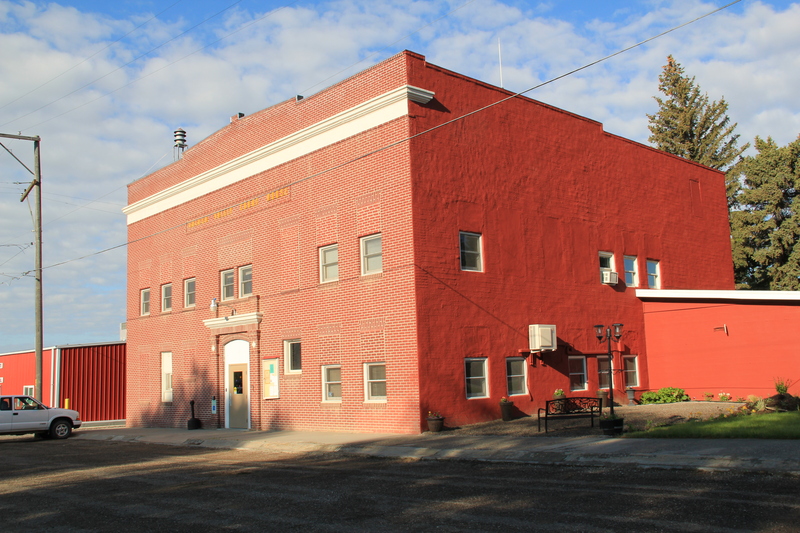 I liked it in 1984, when I made this image of the courthouse in Scobey–certain it would not be there for long. I liked it enough to return in 1988, and couldn’t wait to explore some more in 2013. 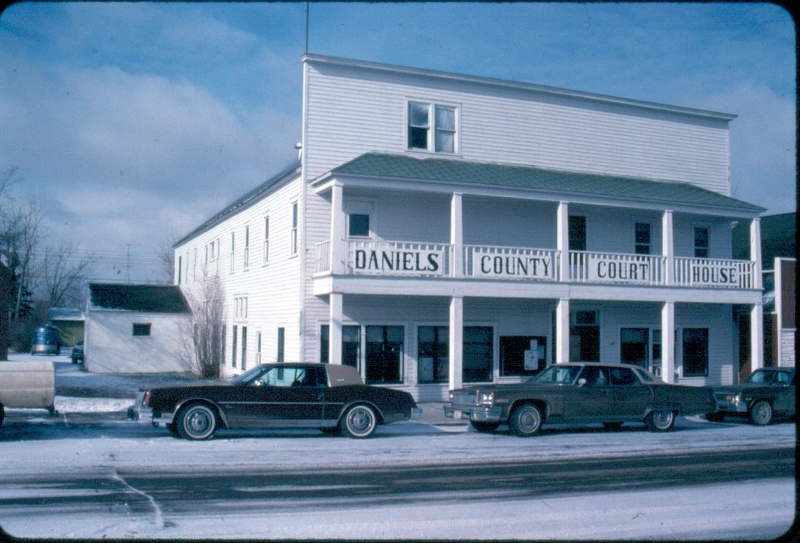 In this blog, I have already spoken of the some of the remaining rural schools; the fairgrounds; the Soo Line railroad corridor; and, the survival of the Daniels County Courthouse, an old homesteader hotel that was once a bordello and still is used today by the citizens of Daniels County. As we take this detour from U.S. Highway 2 far to the south–the Canadian border is much closer to the north–here’s to Daniels County–the residents’ persistence, sense of community, and dogged determination means there is much to commend here. The courthouse proudly displays its National Register of Historic Places marker, although officials admitted that they do not get many “faraway” tourists (I found out Canadians naturally were not faraway-but someone from Tennessee, yes indeed).Dropped ceilings may be about but the courtroom retains its turn of the 20th century feel. 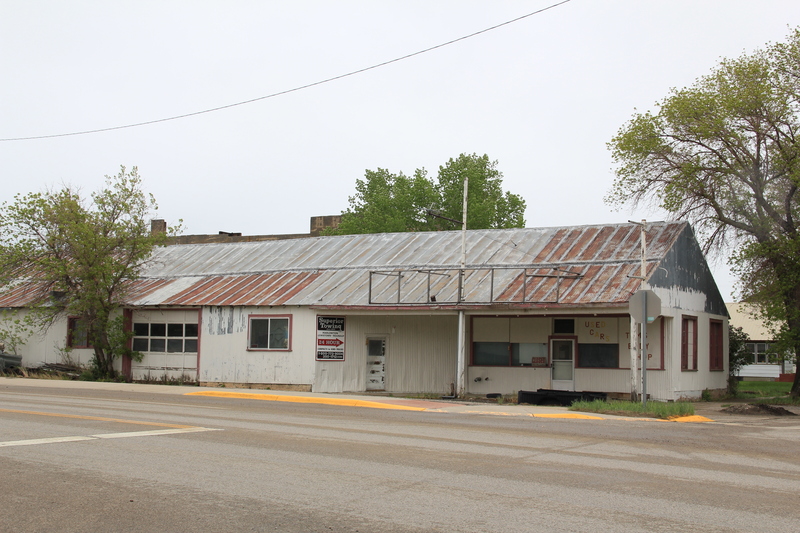 The place was in great shape, considering the fact it was never built to be a public building, and its condition speaks to the pride residents have in this old false-front frame building. 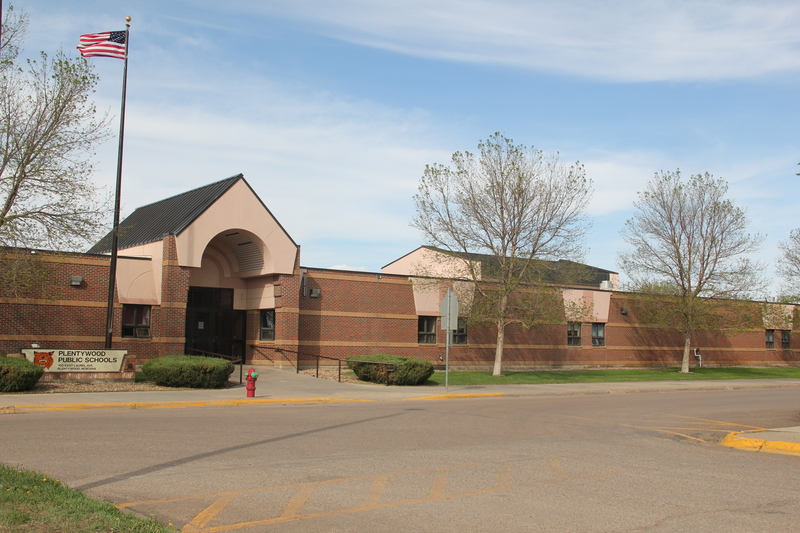 Another favorite haunt was the Scobey school, perhaps, next to the Catholic Church, the most architectural stylish building in the county. 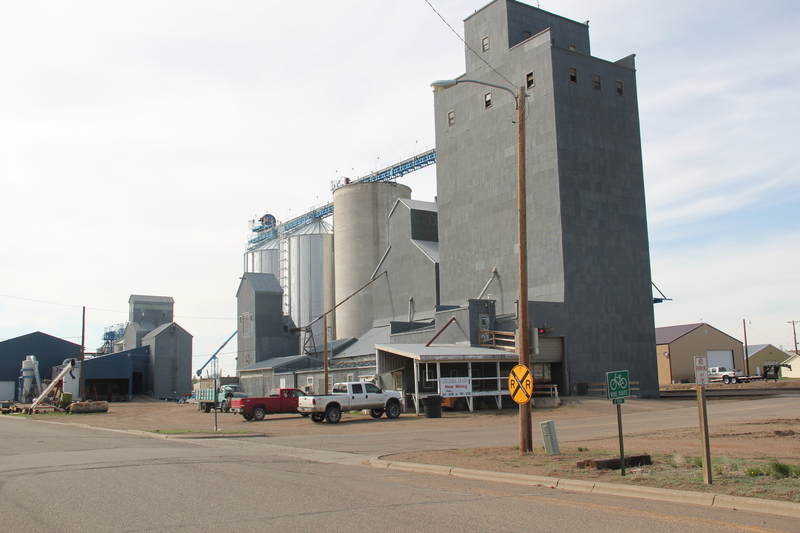 Keeping the Scobey in good shape and open is crucial to a town and county that has steadily lost population over the last 50 years. The population had dropped over 300 since the 1980s, and now is just over 1,000 residents. 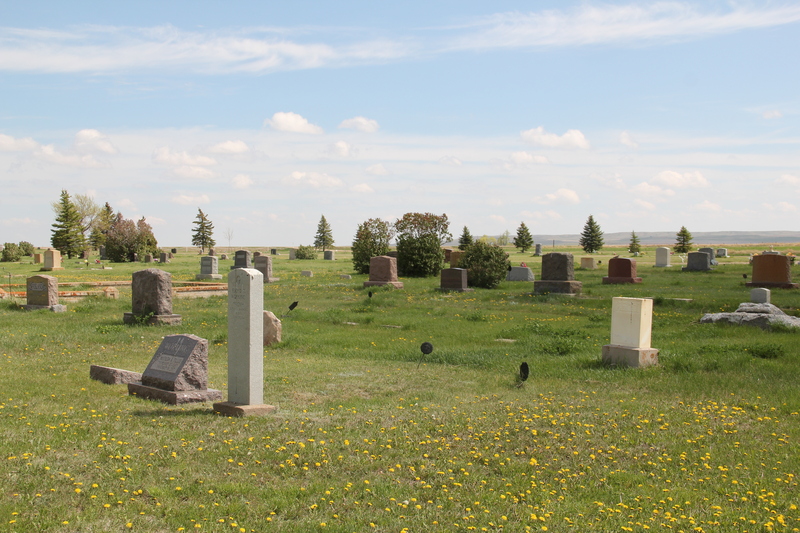 The Daniels County Cemetery, just outside of town, tells part of the story of those who came and are no longer here. 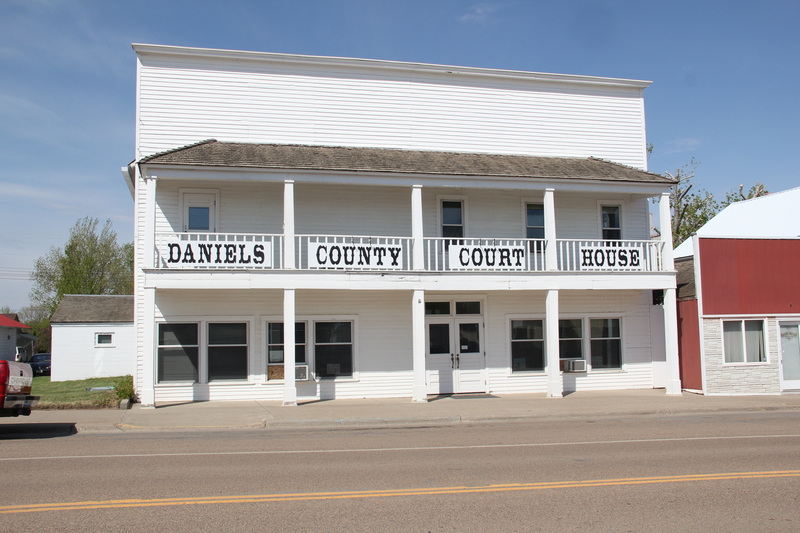 But in the next post I will look in depth at the place that tells that story of change best–the quite wonderful Daniels County Museum, building zoo without rival in northern Montana.